If you happen to be at the SM Mall of Asia this weekend (October 5-7, 2018) , you can test drive the first-ever Ford Ranger Raptor or new EcoSport. 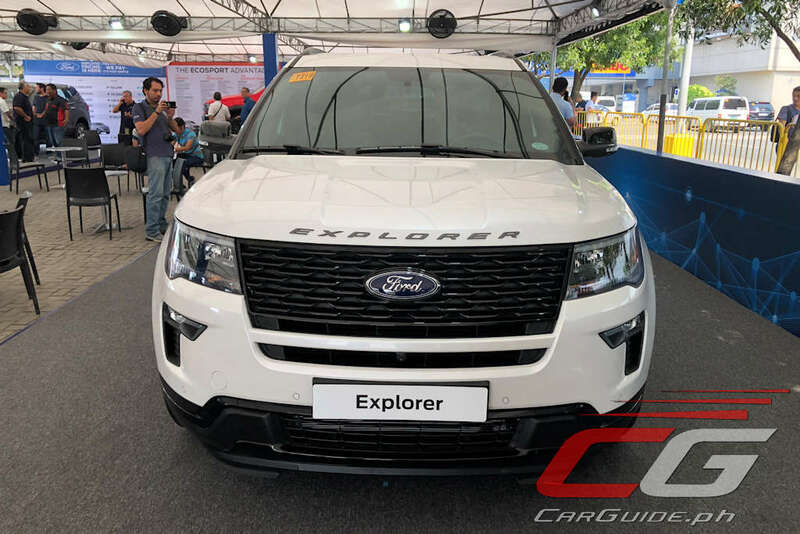 Then, you can also take a look at this: the revised, 2019 Explorer. 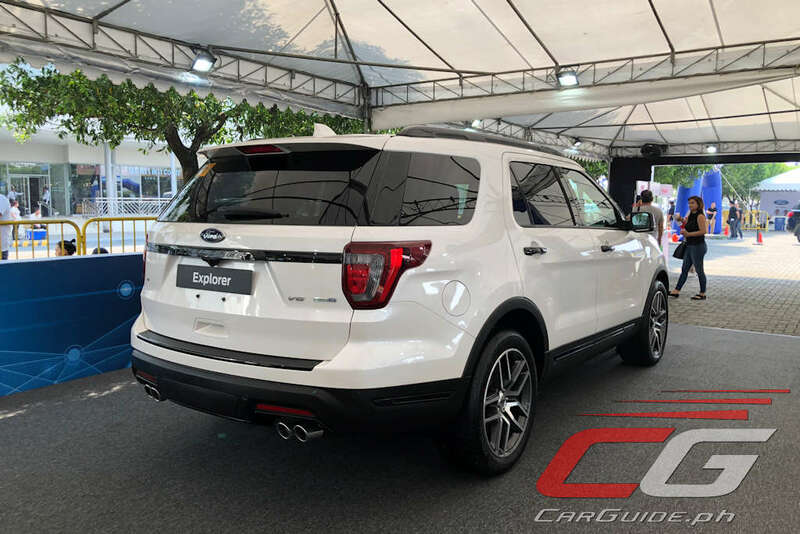 A year and a half after its debut in the US, Ford’s most popular North American CBU gets both cosmetic and tech enhancements. 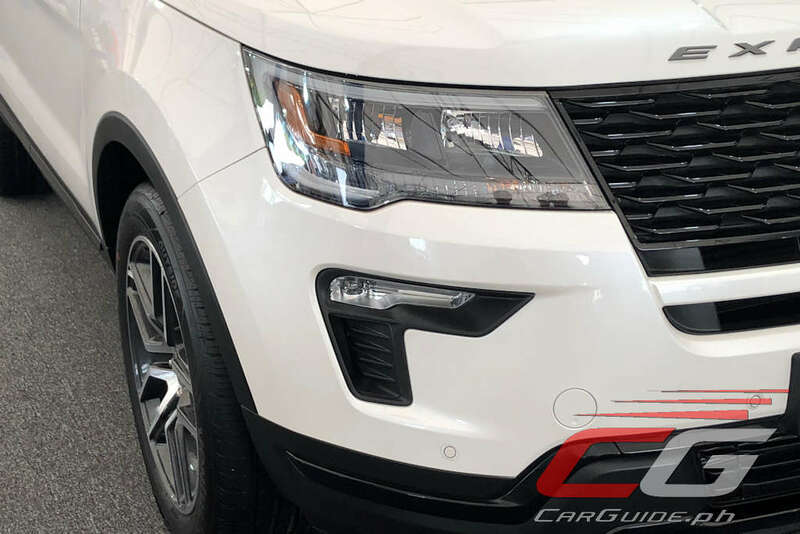 Outside, the 2019 Explorer gets a new bumper that substitutes the large front fog lamps for a smaller one with a brake duct detail. Also new is the front grille insert. 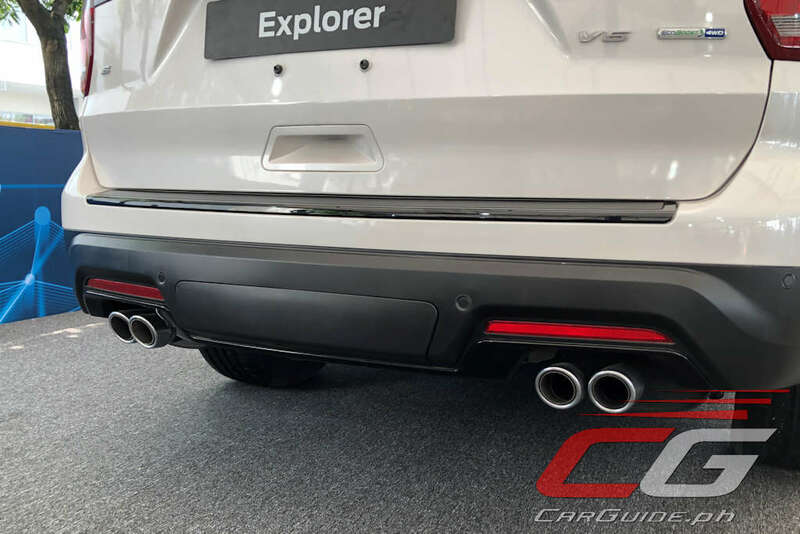 Towards the back, the Sport model is now easily identifiable thanks to its Mustang-like quad-tip exhaust pipes. 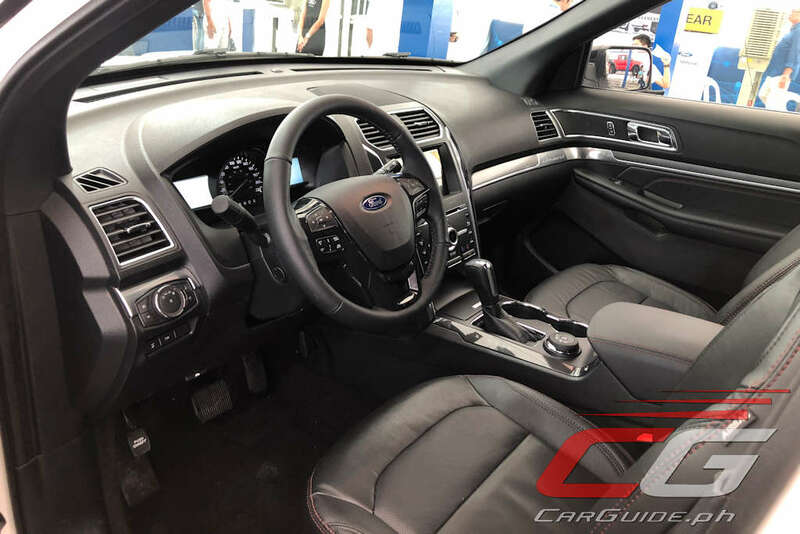 Inside, the 2019 Explorer receives an updated dashboard now fitted with the increasingly popular stitched leather insert. The latest version of SYNC 3 with integrated Apple CarPlay and Android Auto is present as well. Other that that, the Explorer retains its impressive array of features such as a 12-speaker Sony sound system, front powered seats, a dual panel moon roof, and a hands-free power tailgate. For the 2019 model year, blindspot monitoring is standard as is a front and rear parking camera with integrated washer. The Explorer Sport adds adaptive cruise control and lane-keeping assist. Mechanically, the new Explorer remains unchanged. The Limited is powered by a 2.3-liter 4-cylinder delivering 280 horsepower and 408 Nm of torque through the front wheels, while the Sport gets a twin-turbo 3.5-liter V6 pushing out 365 horsepower and 475 Nm of torque through all four wheels. Both are mated to a 6-speed automatic with paddle shifters. 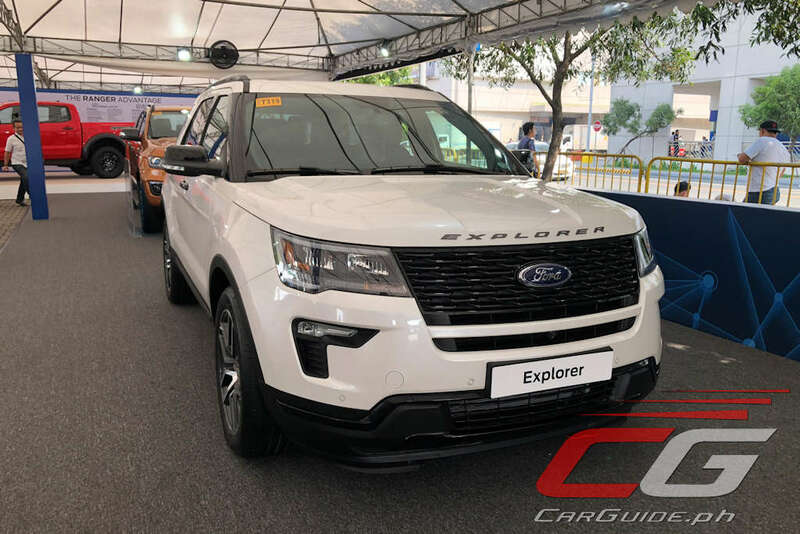 There’s a slight bump in prices for the revised Explorer (about P 50,000 up). The 2.3 Limited EcoBoost now retails for P 2,798,000 while the 3.5 Sport EcoBoost is now at P 3,178,000. 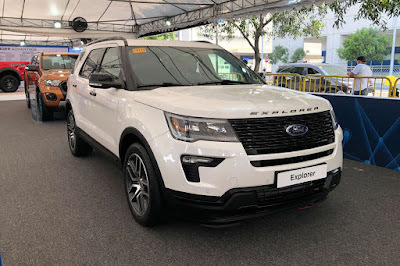 Check out the 2019 Explorer in the flesh at the Ford Island Conquest at the SM Mall of Asia in Pasay City.